It’s about the end of the month, so soon we will be getting next month’s rent checks. No matter if you are a new or experienced landlord, your financial bookkeeping is crucial. How do you track the income collected from investment property, and how do you forecast future expenses? (This will be an Accounting 101 course, more experienced readers may want to jump directly to our Landlording with QuickBooks training). Every investment property owner needs to keep track of that money separate from the rest of his or her income and expenses. Ideally you have a landlording / property management legal entity set up already – perhaps an LLC. 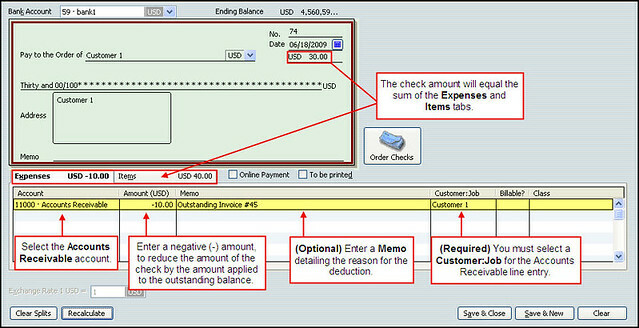 Even if you did not do that, opening another checking account can help to keep things more organized. You need to separate your investment and personal funds. Assuming you have an entity, it protects you from piercing of the corporate veil. It helps tracking how much money you earn or lose. When you have your new checking account, check with your bank about using smart phone apps to deposit your rent checks. Or use a high speed scanner they can provide you with. This way you don’t have to make a trip to the bank to deposit the money. Better yet, enroll your tenants in a direct deposit program to automatically transfer the money into your account. You can be more or less aggressive in creating separate accounts for checking, security deposits, and the like. Note: some states require security deposits be kept in a different account than your regular business funds. Checking Account – where all rent is initally deposited, and always holds the budgeted funds for PITI ($1,104), repairs ($87.50), and excess cash flow ($200). Cash flow we can apply to anything we want, like mortgage pre-payment, upgrades, miscellaneous expenses like office supplies, or saving for the next duplex. Variable Expenses – this savings account includes the budgeted funds for things that are irregularly paid, including: future vancancies ($87.50), HOA dues ($50), and professional fees ($25). This savings account is automatically funded $162.50 from our checking account each month. Income Taxes – I need to dig deeper into this, but my git-r-done way of estimating our tax burden was to start with total rent minus deductions for HOA dues, insurance, property taxes, and 75% of the principal/interest payment (only the interest is deductable). Then I take 25% of that number to get an estimated amount to save for each month, which comes out to $192.47. Rounded up, this savings account is automatically funded $195 from our checking account. Security Deposit A & B – these were transferred to us at closing, and we named each one in ING as Security Deposit + the name of the address the security deposit applies to. I’m leaving those alone until a tenant moves out. The amount allocated to each fund is directly related to the balance sheet I created previously, with roughtly half of the positive cash flow money being allocated to income taxes. Hopefully this gives you some ideas of investment property bookkeeping. 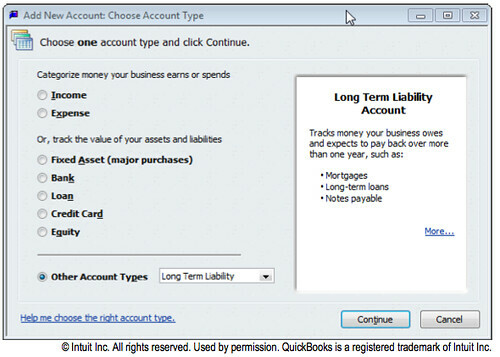 We have a lot more in the blog, or order our full training kit on managing properties in QuickBooks today. It comes with a money back guarantee. And thousands of customers love it (read testimonials ♥).